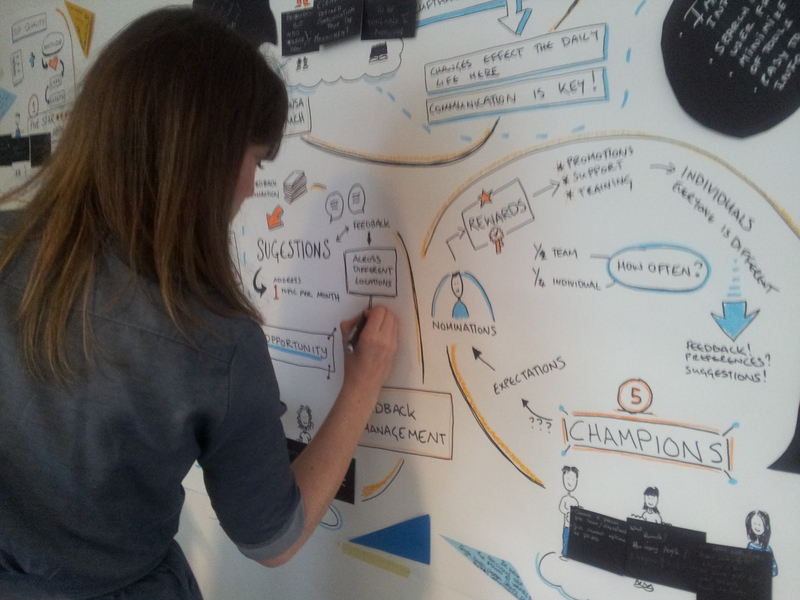 Sneak Peek – What change would you like to see in the world? 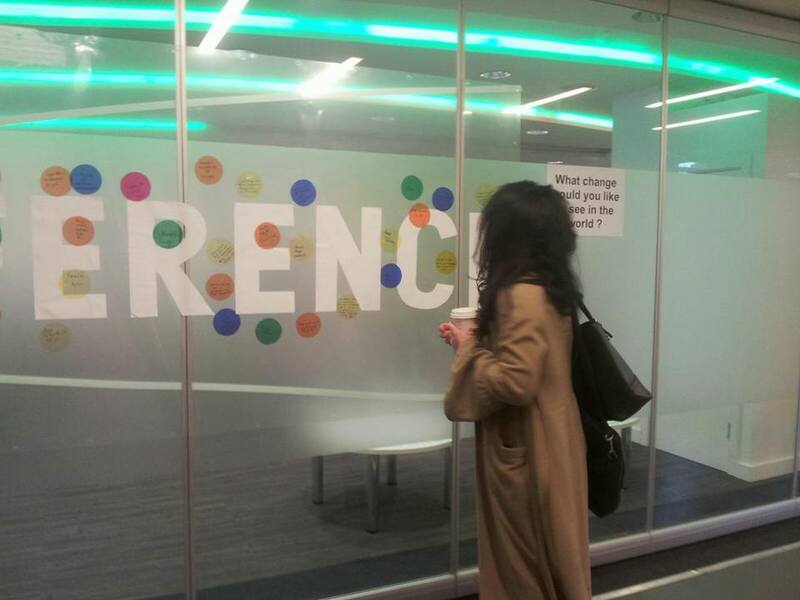 This Is Collective have been invited by UCD Volunteer Overseas Programme to create a piece of art engaging participants of their Making a Difference conference on volunteering for sustainable difference. We will ask participants to engage in a creative dialogue to reflect on what changes they would like to see in the world. 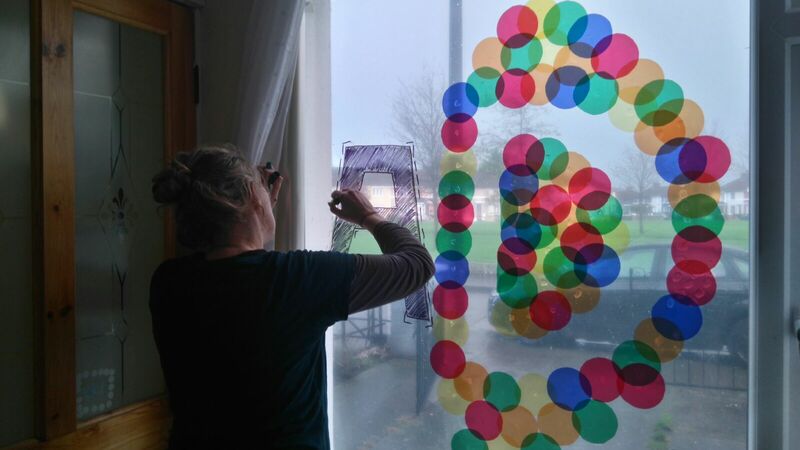 This Is Collective delivers a range of workshops and training in creative practice for all types of communities, groups and organisations to assist them in making creativity integral to their work. Each training workshop session is tailored to the needs of the particular group. This Is Collective have designed and held creative workshops with organisations such as Lufthansa and Amnesty Ireland. To find out more contact us at thisiscollective@gmail.com or call Camilla on 0857645692 or Meadhbh on 0861062367. For the Summer of 2014, This Is Collective have been invited by Oxfam Ireland to join their campaign for Climate justice and create a socially engaged art piece to channel this message to the wider public. For the Body and Soul festival we developed a creative action for the Behind the Brands campaign and then at Electric Picnic we created another for the ‘For the Love Of’ campaign. The Behind the Brands campaign aims to provide people who buy and enjoy food and beverage products with the information they need to hold the Big 10 to account for what happens in their supply chains. At Body and Soul 2014, This Is Collective invited festival goers to come together and bring their voices, as consumers, to the table – with the idea that together, our voices are amplified and more powerful and can make a positive impact. While having conversations around all aspects of food justice, participants weaved recycled materials into the table tops. The table tops we made represent all of the voices being brought to the table. 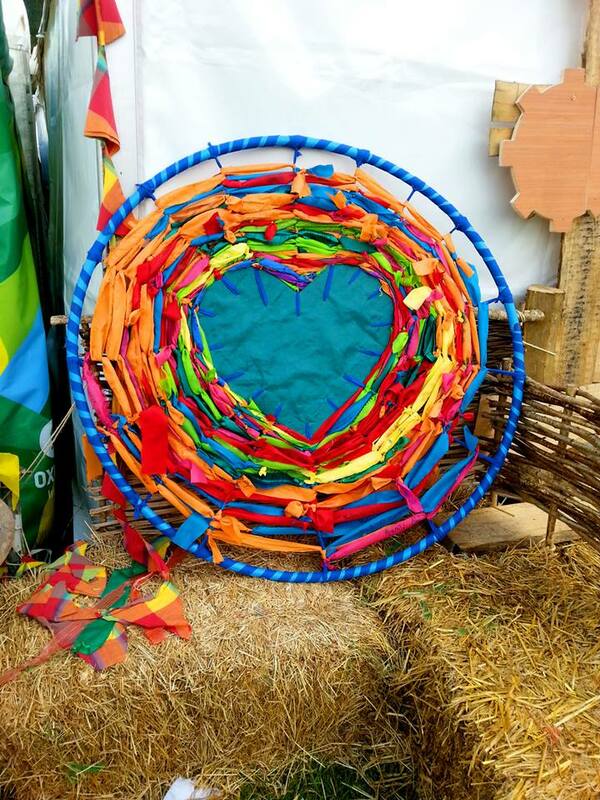 Following this, the ‘For The Love Of Climate Justice’ campaign at Electric Picnic asked festival goers to share something they love and care that is affected by climate justice. These messages will be collated and sent to Enda Kenny to demonstrate that the people of Ireland care about Climate Justice and that more needs to be done for it. For this, This Is Collective invited festival goers to come together and bring their voices to the table for the love of all the things they care about. By starting a conversation around the impact climate change will have on the things we love, we used our voices to reflect the issues we care about and make a positive impact. While having these conversations, participants were invited to weave fabric and recycled materials into the table tops. Through weaving the thoughts, intentions and discussions into the tables, the table tops represented all of the voices that have come to the table. 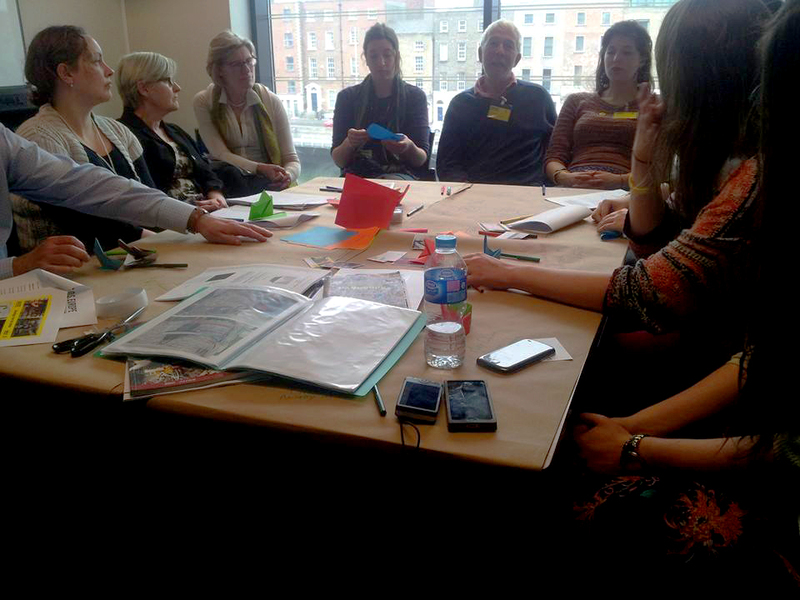 Last weekend Camilla lead a creative campaigning workshop for members of Amnesty International Ireland at the Annual Conference 2014. 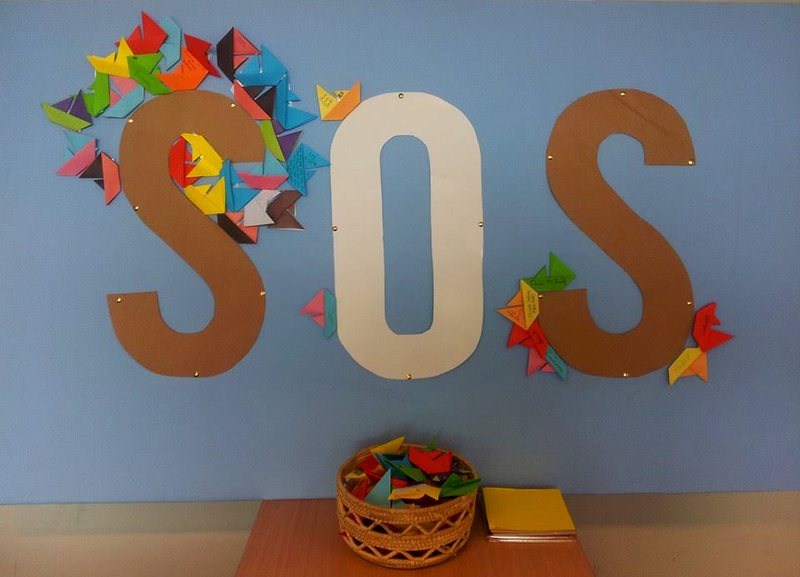 The campaign centered around the SOS Europe campaign and we are delighted with how it went. Through creative thinking exercises, participants were asked to consider how they could carry out their own creative campaigns for Amnesty going forward. As part of the workshop participants created small origami boats to symbolise those who have lost their lives at sea due to border control. These boats were signed by those present and more boats were made to ask others outside of the workshop to add their signature and join the campaign for SOS People before Borders. The finished piece (see below) was carried out to the river and was photographed to start a twitter campaign. 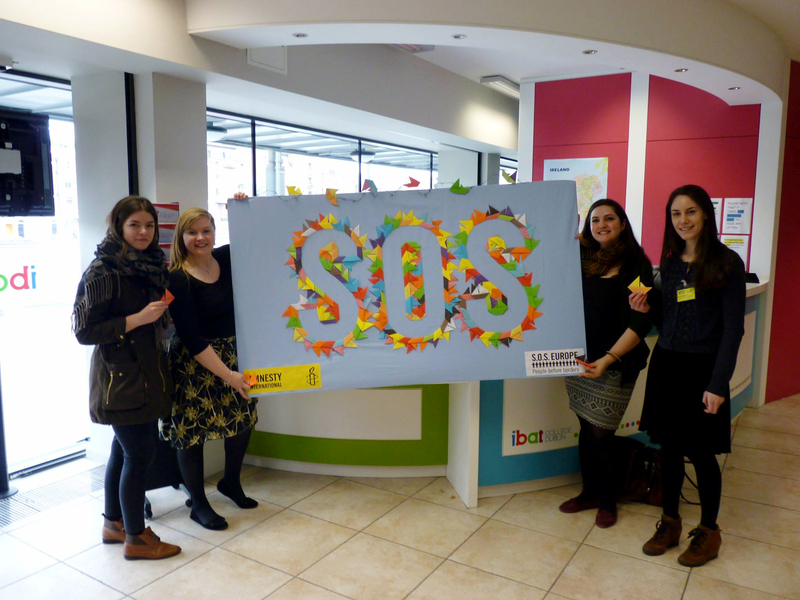 See more details about the SOS People before borders Campaign here. 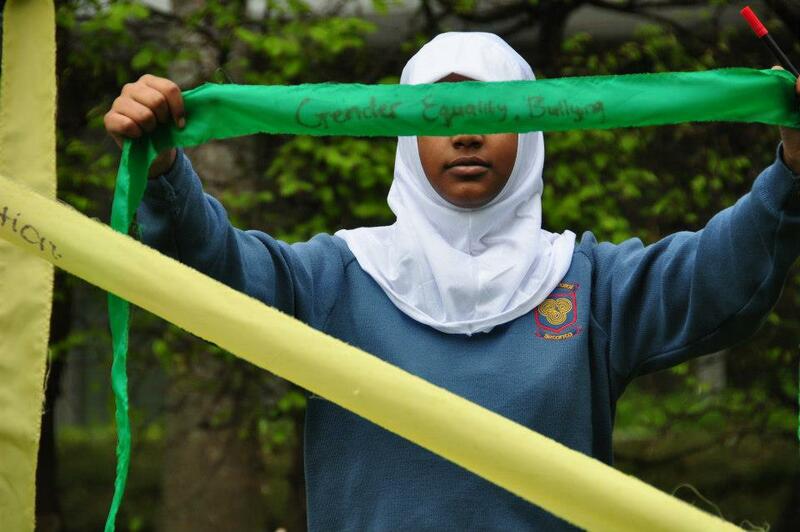 This Is collective created a large scale outdoor installation as part of the Amnesty International ‘Voice our concern’ event, working with students from 10 secondary schools. We used a generated sound wave image of the phrase VOICE OUR CONCERN, and constructed a sculptural piece with strips of fabric. Each participant was given a length of ribbon on which they wrote a personal concern regarding global justice issues and/or what kind of world they would like to see developing in relation to those issues. They were then be asked to attach their ribbon to the staked out structure and contribute their message to the sound wave. When each of the 100 participants attached their ribbon it become a collection of voices contained within a large scale visual sound wave, forming an amplification of concerns. ‘Filling the Pail or Lighting the Fire’ was a showcase is event celebrating 10 years of Amnesty International’s Voice Our Concern. It explored the role of arts education in promoting human rights and active participation in a global world, creating space for second level students to engage creatively and explore the arts as a way of expressing their human rights concerns. A to B Creatively – Thanks to all involved! A to B Creatively is now over! Thanks to all who took part. We had an amazing time! Everyone had such great ideas, we’re very excited to see what happens next. This Is Collective are delighted to announce that we will be collaborating with DesignBurst on a forthcoming project entitled A to B – Creatively which will run as part of Innovation Dublin 2012. This will involve an exploration of creative expression in the context of the daily/public commute. This interactive showcase will allow those who come to the event to experience fun and unique means of livening up how people feel when going from A to B daily. This collaborative project is a perfect display of how creative thinking can take anybody out of the recession blues; encompassing field research and hands on collaboration between artists, designers and the wider public. 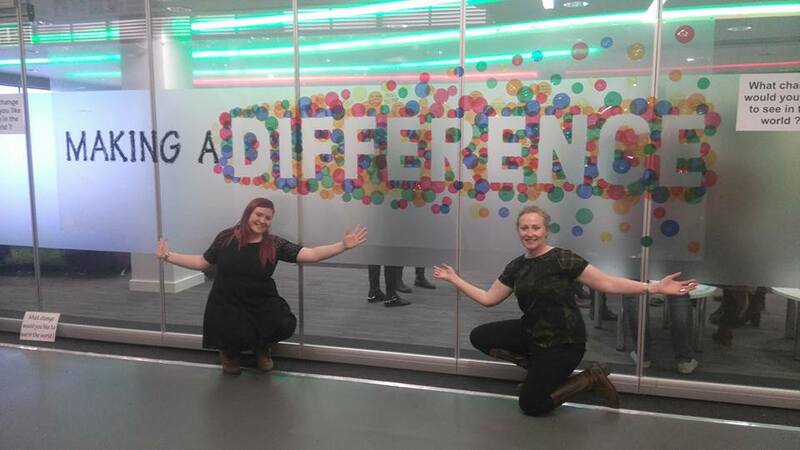 The project will culminate in a workshop/bootcamp style event that will take place in the Digital Hub on Friday the 19th and Saturday the 20th October from 12 – 6pm. The event is free and open to all ages but must be pre-booked. 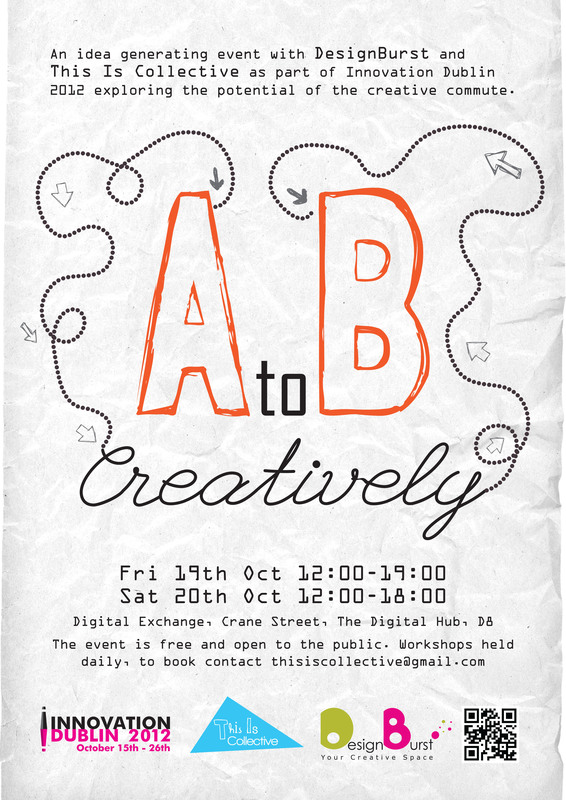 Contact info@designburst.ie or alternatively, thisiscollective@gmail.com to book places! 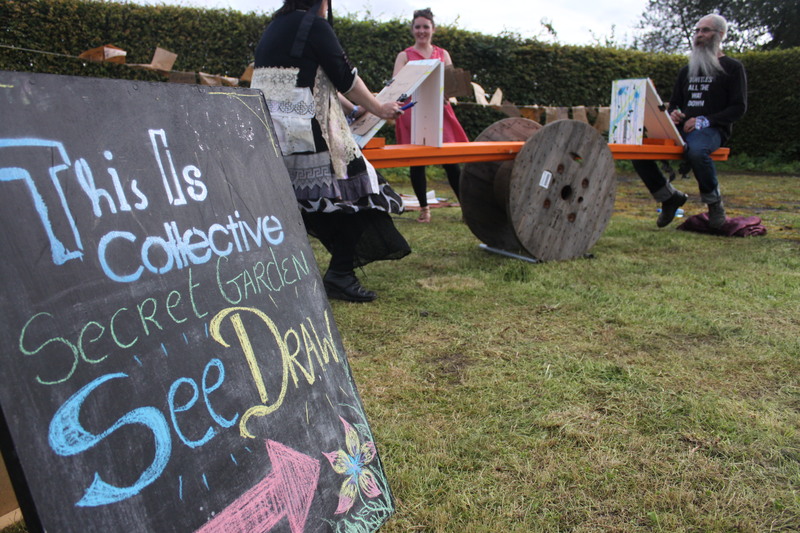 This Is Collective were invited by Milk and Cookies to take part in their annual Secret Garden Festival. We created a unique ‘see-draw’ to encourage a visual arts engagement that went hand in hand with the story telling aspect of the festival. Festival goers were asked to tell stories and illustrate them in turn while on the see-draw, creating a wonderful and wacky storyline throughout the day. It was a great success, we really enjoyed it and a massive thanks to everyone who took part!! To see photos of the festival and the fabulous See-Draw, check out our photo album on our Facebook page ! Exciting news!! We’re delighted to announce that we’ll be taking part in this years Secret garden festival! Take a look at the exciting line-up here, and to get an idea of what it’ll be like, take a look at the Milk & Cookies site to see how last year went.